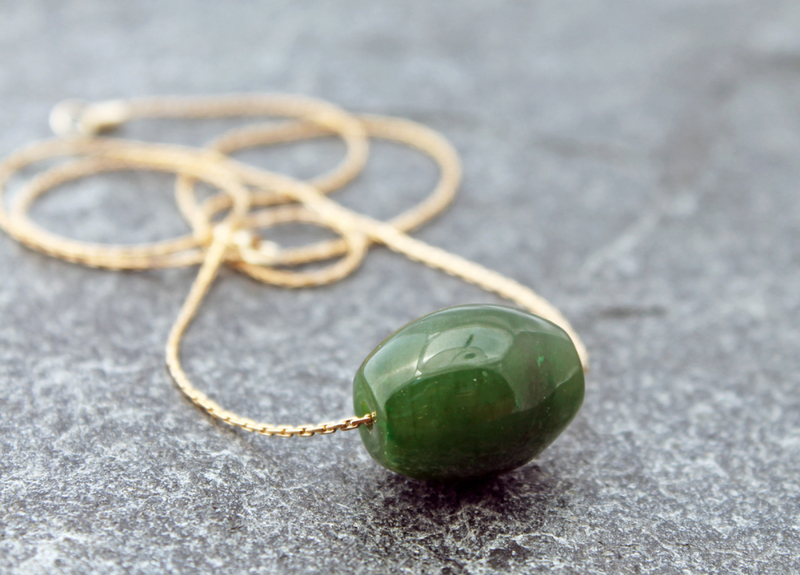 Made to order in 1-3 weeks. 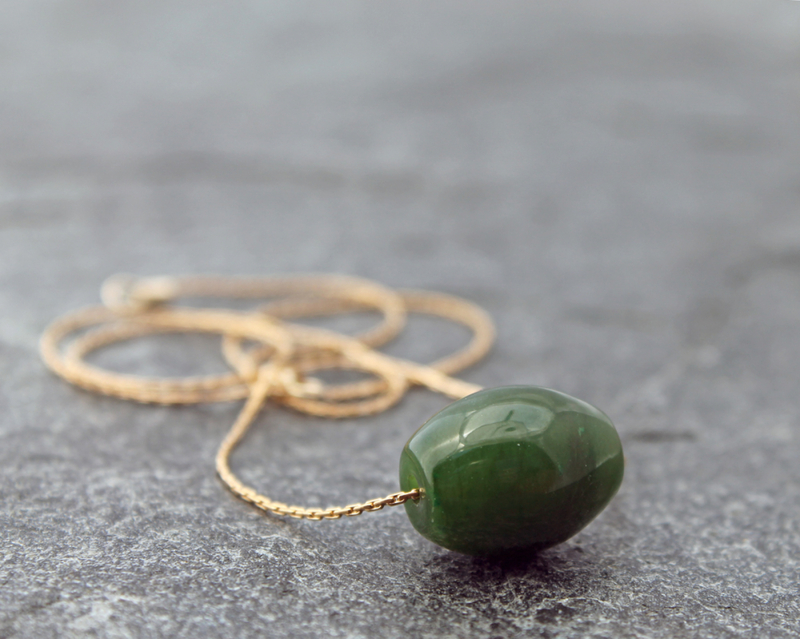 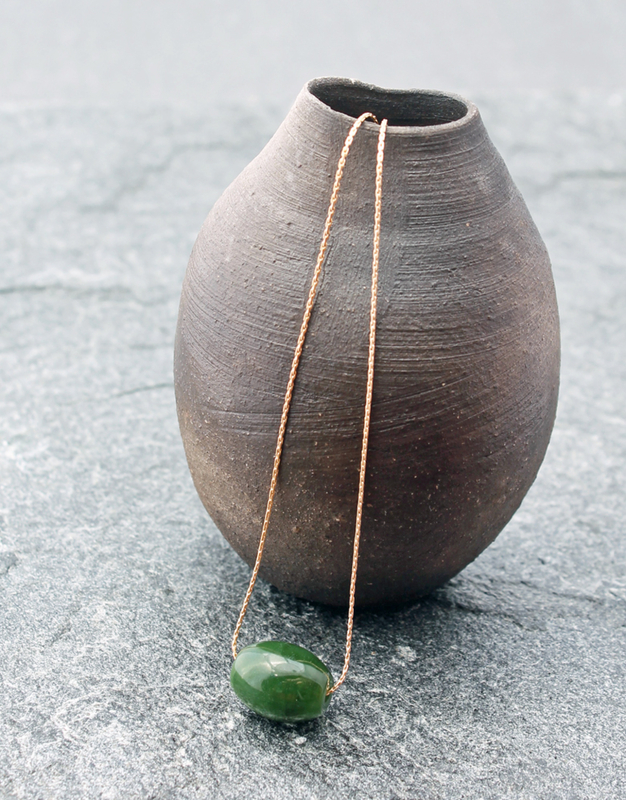 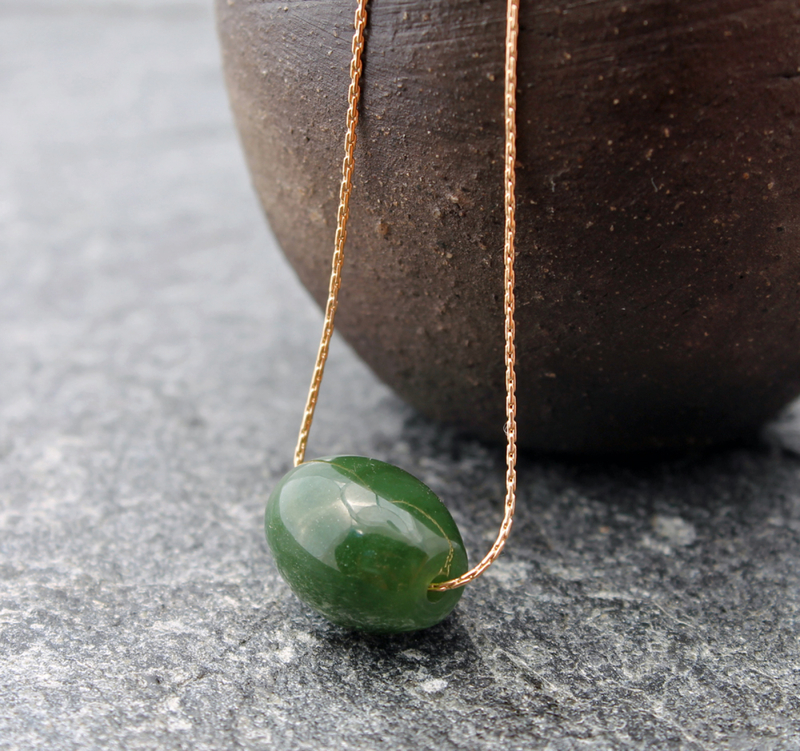 A beautiful, minimalist Canadian nephrite jade necklace with a 12x15mm drum/barrel bead and a delicate gold-filled or sterling silver chain that closes with a lobster claw clasp. 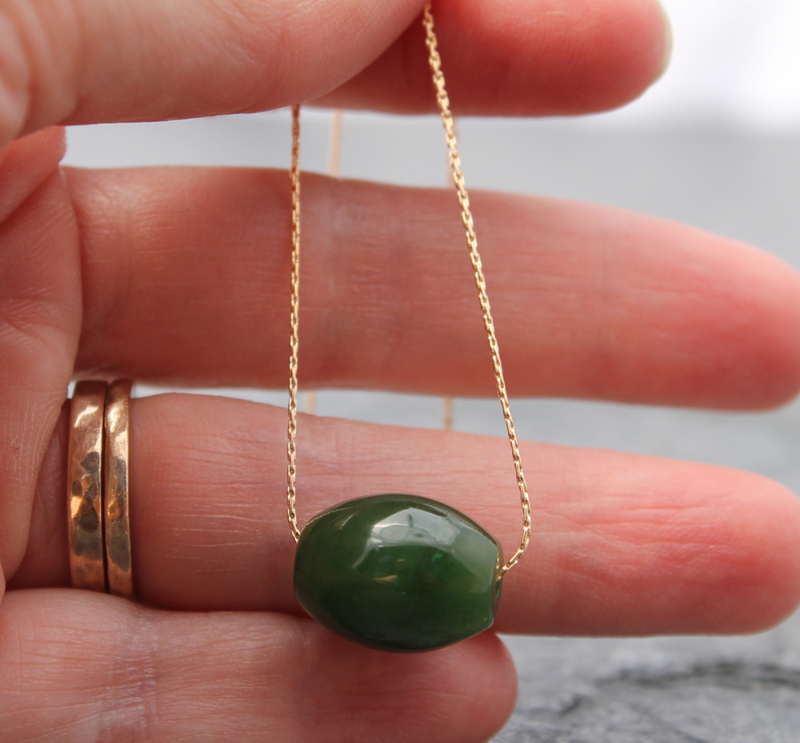 Please specify in the notes when you check out if you'd a like sterling silver or gold filled chain.